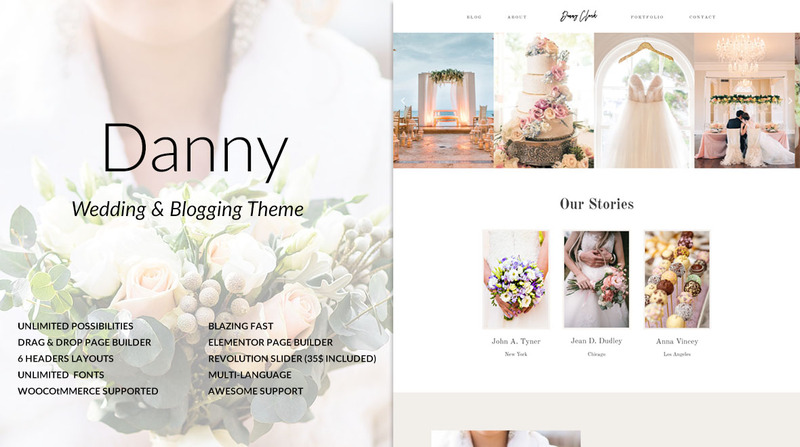 Danny is an elegant & clean wedding theme with multiple ideas & purposes. The theme is suitable for a personal wedding, marriage anniversary, wedding planning agency, wedding planner, wedding shop, wedding blog and any kind of wedding business. With Danny, you can easily customize your theme like changing the colors of almost every element, changing the font and choosing from 500+ Google Web Fonts available in our theme options. You can build your page easily, without any coding knowledge with the ONE CLICK DEMO CONTENT import feature.